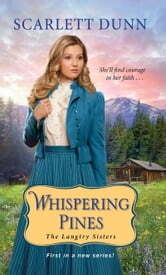 In Scarlett Dunn’s heartfelt inspirational series, three sisters return home to beautiful, enigmatic Whispering Pines, Colorado, and discover the men who’ll claim their love . . .